This website is the home of Pro-Essay-Writer.com. Although the front page is already a little questionable (“hire essay writer online”? ), it’s important not to jump to conclusions before creating an account or placing an order. In this review we investigate whether this site is legal and safe, or a scam. When you login / sign in at Pro-Essay-Writer, the site is pretty easy to get around. It looks a bit repetitive, and has an annoying amount of notifications and pop-ups, but none of them seem malicious, just messages nagging you about buying an essay. So not a great design for the site, but not awful either. Nothing great is free, but that doesn’t mean you should pay ridiculous prices. This site offers fairly reasonable prices, but the word count included is pretty short. All in all, they’re quite average, which is actually a good sign. At least they’re not overpriced or selling “too good to be true” cheap work. If you need a refund, they claim to offer a money back guarantee, but the actual wording is sort of hazy, and it’s not clear when they will actually give you your money back. It could easily be lost forever, or take too long to return, which is not great when you’re already a student having a hard time living on a strict budget. Normally a site that doesn’t offer a discount or promotion code is more legit than one with hundreds of sale events. But just because they don’t have a load of offers running doesn’t mean they’re a great service. They promise writers native to the UK and the USA who are “true experts”, but they do not show us who these writers are, nor do they promise the writers have any qualifications at all. Personally, if I wanted a biology MA paper, I’d want someone with at least a PhD in biology writing it. Plagiarism-free doesn’t equal good. If you need to contact Pro Essay Writer support, their number is at the top of the page and they have a “contact us” message box floating at the bottom of the page, making it really quick and easy to get in touch with them if you need to. They do not allow you to talk to your writers, which is common for writing service. Pro-Essay-Writer.com may not be illegal, but it isn’t the best deal either. 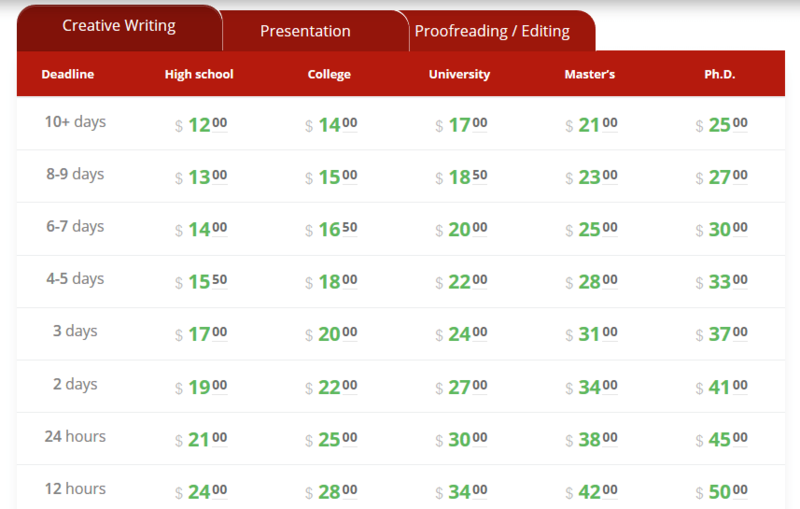 The quality of the writers doesn’t seem to be perfect there, and, although you can get some pretty good prices, if you’re basically paying for 250 words of average quality, it’s probably better to never sign up here in the first place.